Nothing is more relaxing than slipping into your comfortable clothes and a pair of slippers when you get home from a long tough day. 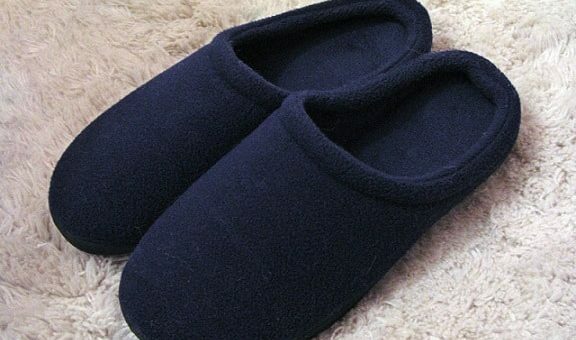 You spend many hours of leisure in your slippers at home after hours or even on weekends. In general, slippers are designed to look cute and fluffy in most cases, without much consideration for comfort or support features. That is why I bring you the comfort and support of an orthopedic shoe, in the classic slipper style, that you so much crave for total relaxation and comfort. In general any orthopedic shoe offers you superior support and comfort, catering to the needs of your arches, cushioning your heels, and providing a fit for proper alignment and pressure relief, to ensure pain relief and comfort from foot conditions and issues. A pair of comfortable Orthopedic slippers will, in turn, ensure that you have ample toe room, a comfortable and cozy fit, with the support of a cushioned and arch support footbed. Orthopedic slipper allows for much better blood circulation by providing your feet with a roomy and healthy environment to function in. You can easily relieve, prevent, and aid in healing many foot conditions, as well as pain and fatigue, by using an orthopedic slipper on a daily basis, which in turn will cost you a load less than expensive foot surgeries or treatments. Lastly, many individuals struggle with immobility because of debilitating foot conditions or lower limb pain and discomfort, caused by certain conditions. The proper orthopedic slipper can aid in improving mobility for such individuals, and allow them easy and pain-free movement. Pregnant Women, particularly in their final trimester, seeking back pain relief and a shoe that will fit swollen feet. People with foot conditions such as Neuropathy, Diabetic symptoms, Bunions, Hammer Toe, Plantar Fasciitis, and many more. Older people who need extra support or mobility. People that are recovering from a foot or leg injury or surgery. Anyone recovering from any condition or surgery is more comfortable in an orthopedic slipper. Individuals who are on their feet all day. Stay at home mothers who do not need to wear fancy shoes! A wider or more roomy toe box for freedom of movement. Soft and comfortable upper construction that will not cause chafing or any irritation. Flexible uppers that won’t exert any pressure on painful foot deformities and conditions. A Gel, Foam, Plush or Memory foam, cushioned footbed. A durable and thick outsole for shock absorbency and protection against hard floors and surfaces. Insulated or fleece interior for cold weather conditions. Comfortably padded footbed and heel or arch support. The Vionic Mule Slipper is available in different designs, prints, and colors for you to choose from, with Terry toweling material uppers for soft and absorbent comfort. Fabric Terry Toweling uppers that are soft, absorbent, and comfortable. A terry textile-covered footbed with EVA for cushioned comfort. Adjustable Velcro straps are ensuring a snug and comfortable fit. The TPR outsole is durable and comfortable while ensuring a good grip. Features an APMA seal of acceptance. Open heel design for easy slip on and off. A stunning open heel slip on tan suede leather slipper with a fluffy and cozy warm interior, ideal for fall and winter time. The Orthofeet Charlotte has the perfect characteristics to provide relief from the symptoms of Plantar Fasciitis, and Diabetic feet. Soft and Supple Suede leather uppers with a non-binding, extra depth design and wider toe box area. An Ortho Cushioning system, bio-mechanically engineered to soften each step. Enhances stability and helps to facilitate motion. Ideal for foot and other conditions such as Heel pain, Arch pain, Metatarsal pain, back and Knee pain, Pronation, Plantar Fasciitis, Bunions, Neuroma, Corns, and Hammertoes. The RockDove Nordic Slipper features a stunning pattern design available in different color options, with plush interior and memory foam cushioned insole. Plush and comfortable, as well as providing cozy warmth for colder weather conditions. Features a thick and durable rubber outsole that offers good grip and shock absorbency. Fully lined with plush and comfortable micro-fleece for warmth and a cozy environment for your feet. A Nordic Themed color and shaped knitted upper. A soft and comfortable memory foam footbed. Perfect for summer, the Vionic Gracie features a flip flop design with plush and comfortable terry cloth uppers and covered footbed. Textile Terry upper construction that is soft, supple and comfortable. A TPR outsole with excellent grip and traction capabilities. A podiatrist designed stability and cushioned footbed, for better support and cushioned comfort. An absorbent Terry Covered toe post and footbed. Cool and breathable for summer, to keep sweat and odor at bay. Available in seven color options to choose from. Stunning Tribal print, fleece lined ballerina flat style slippers from Ofoot, for cozy warmth, with anti-skid characteristics. Excellent for indoor use on all floor surfaces. A ballet style slipper with soft cotton uppers in a cashmere snowflake print, and a fleece-lined interior and footbed. Lightweight construction with a durable and slip-resistant TPR rubber outsole. EVA padded and cushioned insole for comfort and support. Available in a few color patterned options, for you to choose from. Dainty, warm and super comfortable, the perfect size for traveling as well. There is no getting around it, whether you need them or not, orthopedic shoes are simply just good for your feet. 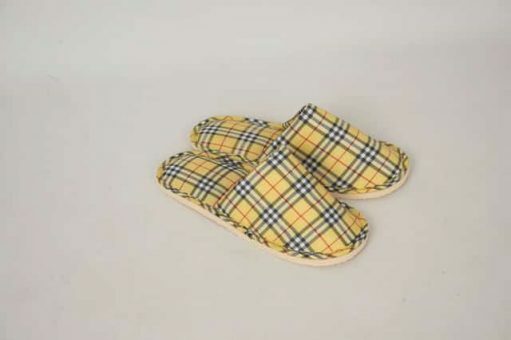 I have chosen some top brands of orthopedic slippers all with orthopedic features and likewise slipper features for the comfort of a slipper with the support of an orthopedic shoe.